THE Sinulog has always been marked with vibrant colors, especially in the way Cebuanos celebrate it in honor of its patron, Santo Niño. Every time a new year is ushered in, the Yuletide festivities seem to continue on, morphing into a more dynamic form through a religious festival characterized by street dancing and, of course, prayer. Adding to the festive mood in the city are creative installations called “arkos” or arches that usually line up the Sinulog parade routes. The centerpiece of these arches is of course, the image of the Santo Niño, fittingly enshrined in a colorful outdoor niche. It is tantamount to the nativity scene or the belen during Christmas, constantly reminding Cebuanos of the real reason for the celebration. One of the much-awaited arches during the Sinulog is the one created by Cebu-based ready-to-wear company, Penshoppe. In Golden ABC Inc.’s Facebook page, the company wrote that it has been installing its arch “at the heart of Fuente Osmeña” as a way of “honoring the Santo Niño” as well as a form of thanksgiving for the blessings it has received each year. For this year, the company has come up with another creation that showcases Cebuano culture. The Santo Niño is placed inside a dome-like frame, reminiscent of old cathedrals, where the dome is usually considered as an architectural expression of heaven. A cross emerges through its peak, representing the strong faith of the Cebuanos. Of course, colorful images arranged like those of stained glass windows of churches, with a clear image of the Santo Niño and some familiar forms like mangoes and seawater, give it a distinct Cebuano character. There are other smaller arches fronting commercial establishments but are not deprived of the colorful look and creativity. 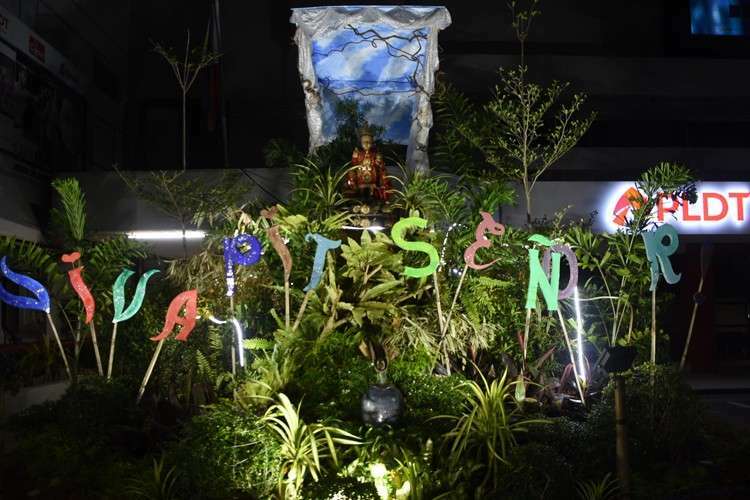 This has remained true through the years as arches display the image of the Holy Child underscoring His continuing presence in the Cebuano community. The arches even make their presence felt at night, when they are all lit up. Way before the new commercial and business districts sprouted outside the uptown area, it was always a pleasant experience, strolling along Mango Ave. and Osmeña Blvd. during the days leading to the Sinulog, with all the radiant street installations. 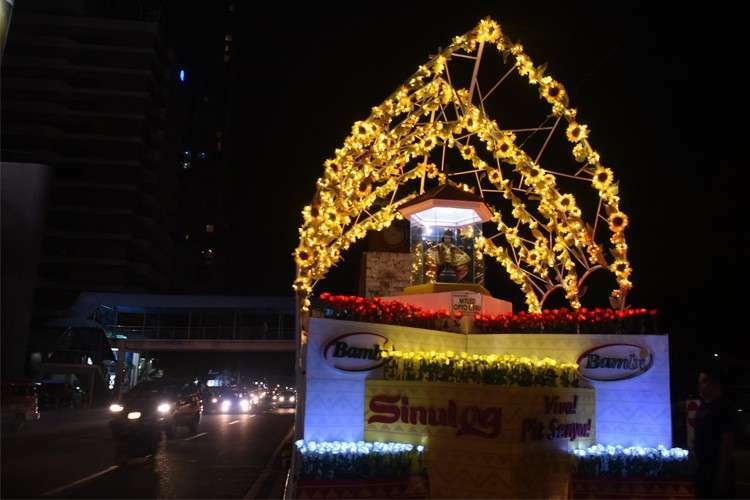 Who knows what bright ideas would pop out as Sinulog arch designs in the years to come? Well, the possibilities are endless. The different designs of these eye-catching features mirrors not just the artistic side of Cebu’s residents. Although commercialism will always creep into these displays, as well as into other aspects of the Sinulog (it’s crazy how young people frown at the banning of riotous street parties as if it was the lifeblood of the festivities), it should not diminish the fact that the Sinulog is a big fiesta in honor of Santo Niño. Arkos should be treated not just as selfie or groufie-worthy subjects or Instagrammable features on the city streets but also as colorful representations of the Cebuanos’ unwavering faith through good and challenging times.